On the 1st (Tue), examine the collection at Apartheid Museum, contemplate the long history of Mandela House, and then ponder the world of politics at Constitution Hill. To find ratings, reviews, photos, and more tourist information, refer to the Johannesburg trip planning website . Belo Horizonte, Brazil to Johannesburg is an approximately 16.5-hour flight. The time zone changes from Brasilia Time to South Africa Standard Time, which is usually a 5 hour difference. Traveling from Belo Horizonte in October, Johannesburg is slightly colder at night with lows of 13°C. Finish up your sightseeing early on the 1st (Tue) so you can travel to Nelspruit. 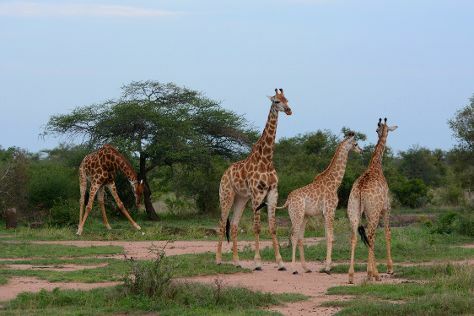 On the 2nd (Wed), explore the striking landscape of Kruger National Park. Get ready for a full day of sightseeing on the next day: Head underground at Sudwala Caves, then admire the natural beauty at Lowveld National Botanical Garden, and then try your luck at Emnotweni Casino. To find maps, where to stay, more things to do, and more tourist information, refer to the Nelspruit sightseeing planner. Traveling by flight from Johannesburg to Nelspruit takes 3 hours. Alternatively, you can drive; or take a bus. In October, daily temperatures in Nelspruit can reach 29°C, while at night they dip to 17°C. Wrap up your sightseeing on the 3rd (Thu) early enough to travel to Cape Town. Cape Town is known for nature, parks, beaches, shopping, and museums. Your plan includes some of its best attractions: take some stellar pictures from Cape of Good Hope, admire the natural beauty at Kirstenbosch National Botanical Garden, observe the fascinating underwater world at Two Oceans Aquarium, and examine the collection at District Six Museum. To see other places to visit, traveler tips, reviews, and more tourist information, you can read our Cape Town trip itinerary maker website . Getting from Nelspruit to Cape Town by flight takes about 4.5 hours. Other options: drive; or take a bus. Traveling from Nelspruit in October, you can expect nighttime temperatures to be slightly colder in Cape Town, with lows of 13°C. On the 8th (Tue), you'll have the morning to explore before heading back home.